Sitting with the correct posture when playing the piano can mean the difference between painful or effortless playing. 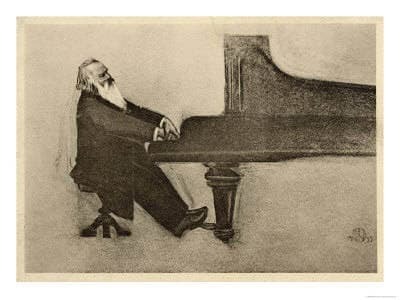 When practicing piano for long hours it is simply necessary to sit properly, or you will not be able to practice very well, or for very long. Using a proper sitting and hand posture will even help you play the technically more challenging parts of the repertoire more evenly and maybe even make it easier to play. 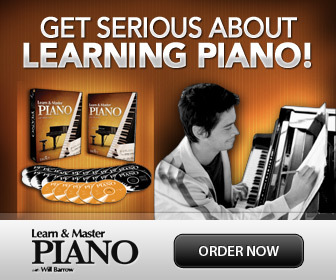 For a beginner pianist it is important to get used to the correct posture and hand position from the first lesson. As you continue to develop your playing skills, you might find that you’d like to change your sitting position slightly. Everyone will eventually find their own individual preferences, as it should be. But this will naturally develop after a time of practicing and playing- so when first starting out, make sure you avoid unnecessary strain and all pain by sitting with the correct posture. Adjust the height of the piano bench so that when you place your “cupped” hands on the keyboard your arms will form an angle of about 90 degrees with the lower and upper arm. Sitting too low, is often compensated by raising the shoulders, and sitting too high will often create a “slouching” posture. This causes tension, and in the long run - pain. Don't sit too close. Sit at a distance of about 20 - 30 cm from your abdomen to the keyboard. Sitting too close will only make it difficult to see the whole keyboard, and will hinder you arm movements. Sit on about half the bench, letting the muscles under your thighs be free. This makes pedaling easier. Both feet should be on the floor, comfortably apart and close to the piano pedals. Do not tuck your feet under the bench or cross them while playing. Generally you should sit in front of “middle C” in the middle of the piano. But if a piece uses only the upper or the lower part of the piano (like in a duet) adjust the sitting position to that part of the piano so that you can comfortably reach all the keys. Your upper arms should “fall freely” from your shoulders. Do not jut your elbows outward, or press them to your sides; but just let them hang freely. Remember to always relax your shoulders. Sit “proud”! Take your place at the piano and feel proud of yourself. Pull your shoulders up to your ears, backward and let down, for a quick posture “fix”. The upper part of the body should be able to move freely forward and sideways to help the arms and hands reach all keys on the keyboard. You should also be able to balance how much weight to use, or to take away, for dynamic control. This is why it is so important to have your feet on the floor to keep balanced. For children that can not reach down to the floor yet it is important to have a foot stool at a comfortable height. I use simple plastic foot stools for the bathroom in my piano studio. They are sturdy and inexpensive. Children should sit on the whole piano bench, as opposed to half the bench for grown ups, all the way to their knees. When a child is starting to use the pedal, they can “half –sit” on the edge of the piano chair to be able to reach the damper pedal (to the right) for the piece/s that require pedal. With the influence and inspiration of methods like for example the Suzuki method by Shinichi Suzuki, more and more very young children are becoming real virtuoso pianists. Since they also need to use the pedal correctly, a special piano foot rest has been developed that has pedals as well. But this is still an exception. Most kids manage well without pedal until they can reach them! To be able to sit right, you first of all need a good piano bench. I prefer to use a padded adjustable piano bench, since they are comfortable and easy to change the height on, which is necessary for being able to maintain a correct posture when playing. Good lighting is also very important. If the lighting is too dark we have a tendency to both squint our eyes and crane our neck, and this is of course not helping our posture! Make sure to have good overall lighting, but also a piano lamp which focuses the light on the sheet music and keyboard without you having to strain your eyes. Adjust any light so that no shadows are cast on the keys. Many musicians have discovered the Alexander Technique. This is a technique that teaches you correct posture and body awareness as injury prevention and for greater ease in not only performing but for everyday life as well. To check on your own if you have correct posture while playing you can video record yourself from the side. Or, if you have a large floor mirror, you can place it to your right and in the corner of your eye check if it looks OK when you are playing. Finally it's good to remember that having the correct posture should feel comfortable, as playing the piano should be!